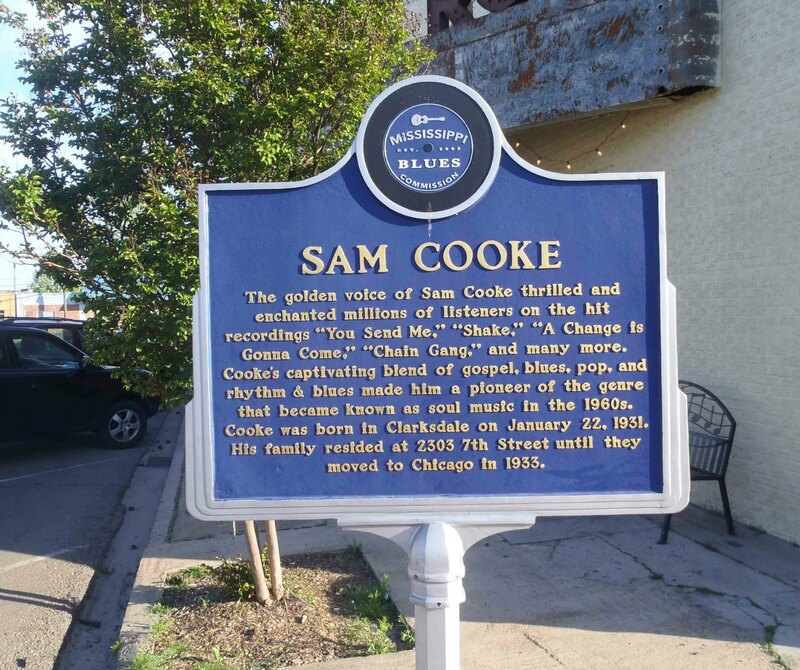 The Mississippi Blues Trail marker commemorating Sam Cooke is located in Clarksdale, Mississippi. It stands outside the New Roxy Theatre at 363 Issaquena Avenue in the New World District of downtown Clarksdale. The New Roxy Theatre (shown above) was built on Issaquena Street in the 1940’s as an expansion of an existing theatre called the Roxy. It was designed as a movie theatre, although the current owner believes that Muddy Waters and his band performed a live concert at the New Roxy’s grand opening in 1950. Although the Mississippi Blues Trail has placed its Sam Cooke marker outside the New Roxy Theatre, the New Roxy has no known connection to Sam Cooke, who was 2 or 3 years old when his family left Clarksdale for Chicago in 1933, a decade before the original Roxy was renovated into the New Roxy in the 1940s. Issaquena Sreet and the surrounding New World District was a predominantly African-American neighbourhood and the theatre catered to the neighbourhood clientele. The New Roxy closed in the 1980’s and the building sat vacant, and deteriorating, for nearly three decades before the current owner bought the property in June 2008. The current owner is gradually renovating the New Roxy Theatre. 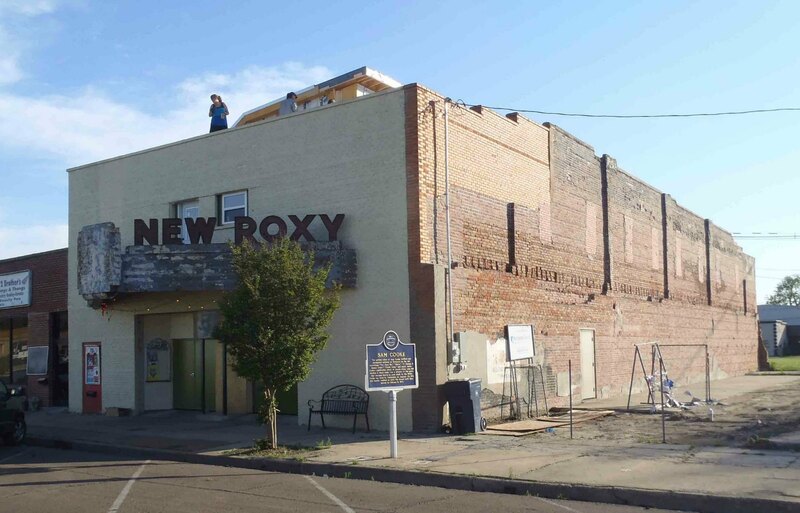 Here’s a documentary about blues in Clarksdale which features the New Roxy Theatre.